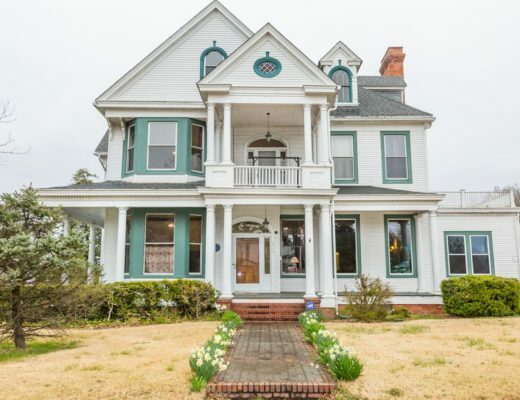 Built in 1898 this Southern home is a one of a kind in South GA! Downstairs is very open with a spacious family room, formal dining, and a sitting/bonus room off the kitchen with half bath and elevator access. The family room opens to the large foyer and dining room perfect for entertaining! The bedrooms are upstairs with a sitting area at the top of the stairs overlooking Gaskin Ave. All 3 bedrooms have working fireplaces, spacious closets and hardwood floors. At the end of the hall you will find another sitting room with lots of windows and elevator access. This home sits on 1 acre with beautiful landscaping and accented with two large magnolia trees. Schedule your private showing today! 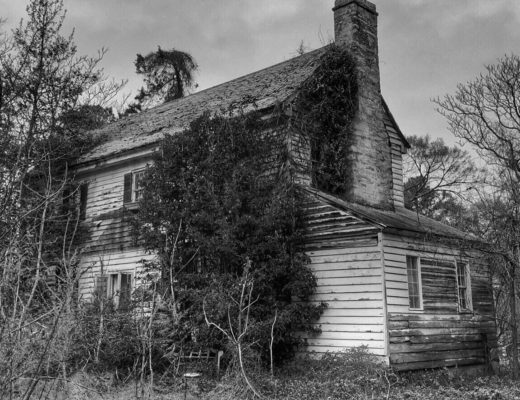 Let them know you saw it on Old House Life! 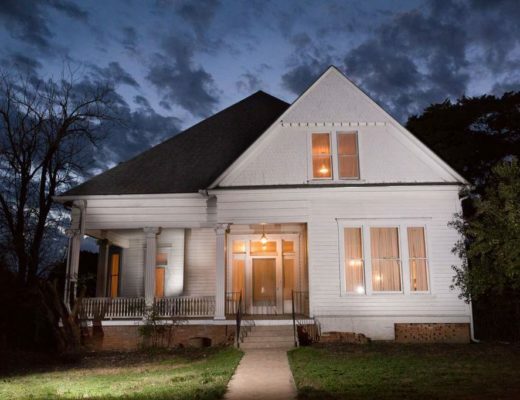 This 1907 beauty in Franklinton, VA is for sale for only $329,000! !